Safeguard the lives, integrity, security and rights of people, and preserve their freedoms, public order and peace. • Arrive at the airport with sufficient time before your flight QUITAR COMA since both you and your baggage will be subject to security procedures. • Do not lose sight of your luggage. • Do not trust strangers; they tend to pretend to be travelers with different problems. • Traveling with guns, ammunition, etc., is forbidden. (Check with your airline for more information). • Traveling with flammable substances is forbidden. (for more information, check your airline’s list of prohibited items). • Report any abandoned baggage, sack or object to authorities. • Do not lose sight of children who are with you. • Do not leave valuable items in your vehicle within line of sight. Phone: +52 55 5133-1117 ext. 33750. Schedule of Attention: 24 hrs. Phone: +52 55 5133-1117 ext. 33754. In front of Baggage Claim Carousel 11 (International Arrivals from Central and South America and Caribbean). Phone: +52 5133-1117 ext. 33763. • Enforce and operate public security policies to prevent and fight crime. • Prevent crimes from being committed. • Investigate crimes under the oversight and command of the Attorney General’s Office, according to applicable provisions. • Perform monitoring and inspection over the entry and exit of goods and people at airports and seaports authorized for international traffic, at customs, fiscal precincts, customs areas and customs revision points. Manage, transport or store said goods in any part of national territory. 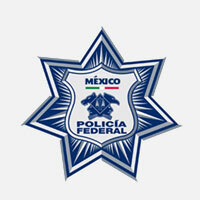 The Federal Police will act with fiscal precincts, customs, customs areas and customs inspection points, in support of and coordination with the responsible authorities on tax or immigration matters, under the terms of the Federal Police Law and other applicable legal provisions.